Have you watched corgi videos where they shake their booties to songs like Rump Shaker? Those are the best. Now I can't listen to that song without thinking of corgi butts. 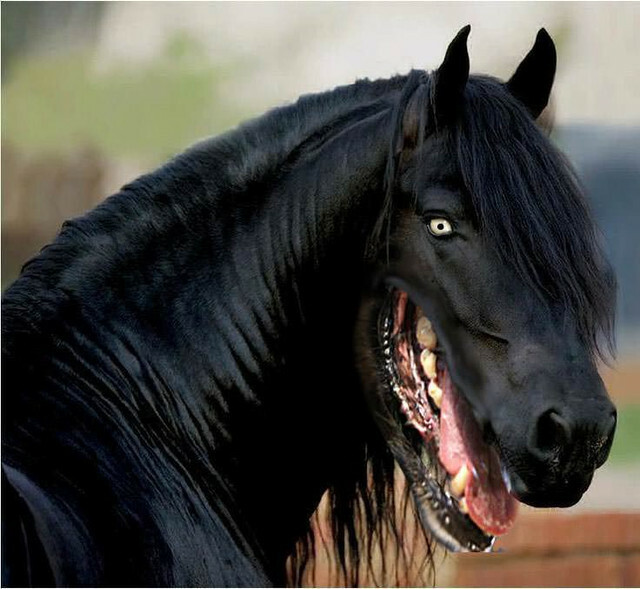 "People Can’t Stop Staring at This Dog With a Human Face"
My friend retweeted photos of horses with dog mouths photoshopped in. I've never been so terrified in my life. Should I make cookie cups since I'm already baking? Um, my hometown seems to be on fire. I just made little pots of gold. I'm free! the plow has come!